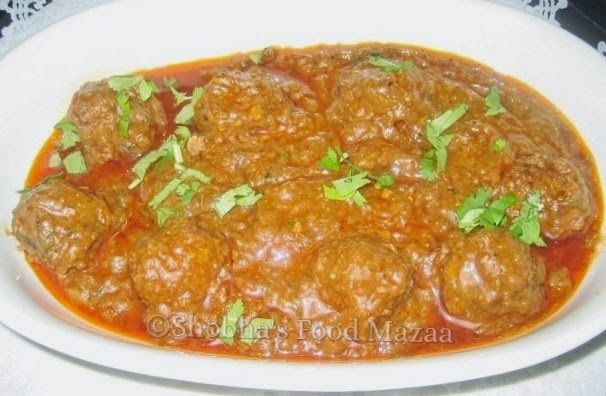 Mutton kofta curry (Indian meatball curry) is prepared with mutton or chicken mince with the addition of spices. The meatballs are slow-cooked in succulent onion tomato gravy. This can be served with rotis or rice. The dry version of koftas also make a lovely party snack. Ginger-garlic paste ..... 1 tbsp. Bread crumbs ............. 1 tbsp. Red chilli powder ......... 1/2 tsp. Turmeric powder ........ 1/2 tsp. 1. Fry the onions to a golden brown colour.Add the chopped tomato, 2 green chillies, ginger-garlic paste and half cup water. Let it cook. Cool it and grind. 2. Clean and wash the mince. Squeeze out the water completely. 3. In a food processor grind this along with 1 onion, 1 green chilli, mint and coriander leaves, a little ginger-garlic paste, breadcrumbs, coriander-cumin-turmeric powders, Garam masala and salt. 4. Make balls out of this mix. 5.In a flat bottomed pan heat a little oil, add the ground onion paste, salt, coriander-cumin-turmeric powders and place the koftas. Simmer for 5 minutes and turn them carefully. 6. Add about 1 cup water and cook on low flame till done. Add a little garam masala. 7.Garnish with coriander leaves. Serve with rotis / naan/parathas. wow..non fried koftas, lovely...looks really yummy. Yes Priya, I slow-cook them. Delicious kofta curry! Goes well with roties or parathas. Thanks for sending it to red meats feast! Thanks for liking the curry. 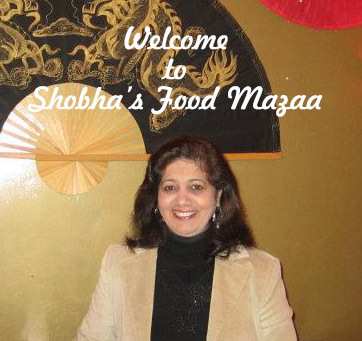 Thats a nice one Shobha. I too prefer shallow frying the koftas, its more healthier. The spices and masalas blends well with kofta and makes curry more flavourful. Nice dish for a weekend or get together. Thanks Jagruti... when the fried onion is ready the curry takes no time at all.